Attention Bryant Park visitors! Keep an eye out for this little bugger, which could affect your visit if you suffer from allergies or have sensitive skin. Bryant Park has seen an influx in Eurasian caterpillars that, despite their beauty, can cause allergic reactions for those with sensitive skin. The Tussock Moth Caterpillar came to North America in the 19th century and spread significantly throughout the Eastern Seaboard. The long-haired, highly colorful bug is often seen in late summer and early autumn among trees and shrubs. 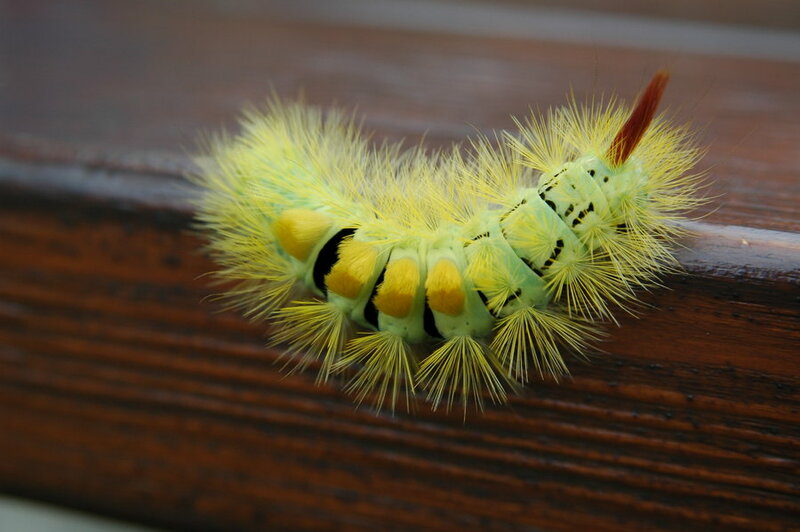 Although it is one of the least potent “stinging hair caterpillars”, contact with these brightly colored Bryant Park inhabitants can be painful to the touch and cause dermatitis among sensitive-skinned park goers. There is an insecticide spray that would eliminate the caterpillars from the park, but it has toxic components that would adversely affect park visitors and make the space largely uninhabitable. Our horticulturalist has determined that it is not in the best interest of park-goers or plants to use this product. If you spot a Tussock Moth Caterpillar in the park, do not pick them up and avoid contact with its colorful fibers as much as possible. If you do have a reaction and notice swelling or a rash, please seek medical attention immediately. Bryant Park is a safe place that provides a bit of green amongst the grayscape of Manhattan. However, this particular piece of nature is not a welcome friend, and should be avoided on your visits to the park. 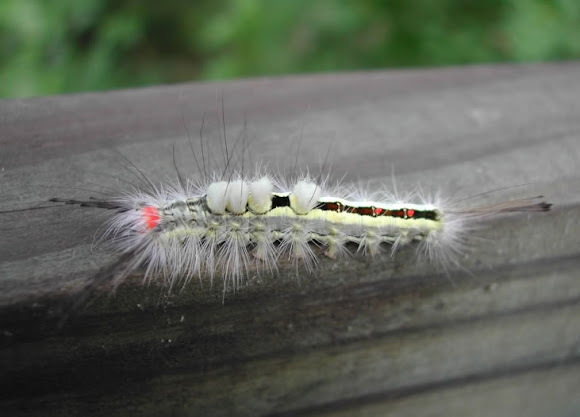 My grandsons and I live in Baltimore Maryland, and just spotted one of these Tussock Moth caterpillars. We were trying to find out if they were poisonous or not; guess we found our answer. Me and my child play with these lovely creatures every year. We let them crawl all over us but have never experienced a skin reaction of any kind. She's 10 now and I think we first spotted them when she was 4. We've taken them home hoping to see them turn into moth's. They always die before becoming moth's. We've tried to feed them all the stuff Wikipedia recommends. Any advice would be appreciated. Hi Lillian, our advice is not to touch the caterpillars.